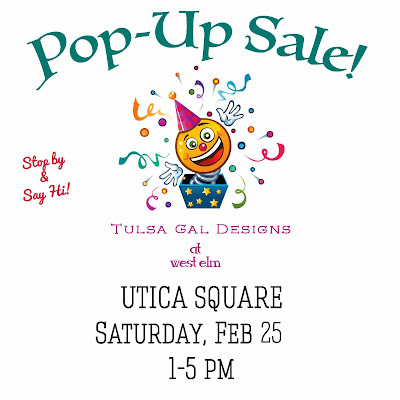 Tulsa Gal Designs: Pop Up Sale! The nice people at the West Elm store in Utica Square have invited me to do a 1 day Pop Up Sale at their store next weekend..... and you're invited! Hope you can stop by between 1-5 February 25th.